This is truly one of the greatest dealerships . Josh is amazing , gets the job done . Sara in service is so friendly, takes her job seriously makes every customer feel like there number 1 . I gave 5 stars because I walked in with a car on my mind I had seen online and walked back out with it a couple days later!! The salesman did whatever he had to do to get me approved and I couldn't be happier with the car I recieved from him! Good customer service all around. I purchased my Chevy Cruze last May and their service and professionalism is second to none. 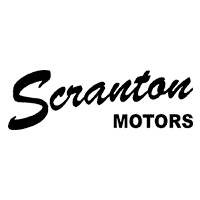 I will recommend Scranton to all my friends and family. Great place! Amazing crew and excellent customer service, I would highly recommend them to anyone who is looking for top quality machines at a fair price! Parts guy knows his stuff! Ask to speak to Chandler and he will get you hooked up with all your powersports gear! Always feel like family walking into scranton powersports. Thanks again to the Staff. Mike and Josh were awesome.Beautiful Showroom and they know the products extremely well.No pressure very laid back.I highly recommend them.